Have had a great couple of days in sunny big skied Montana. 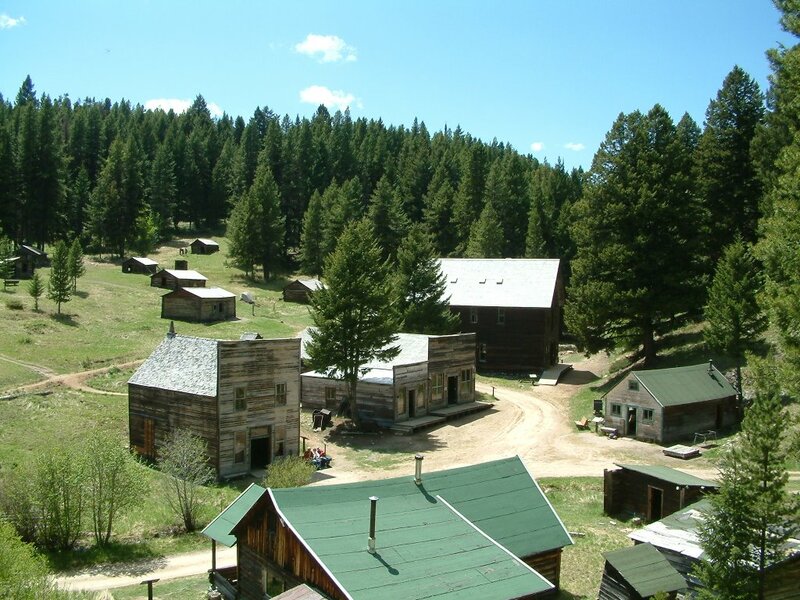 Yesterday we rode out on the bike to Garnet Ghost town - it's supposed to be one of the best preserved ghost towns in Montana. It enjoyed it's heyday between 1895 and 1912 due to the nearby Gold mines. At its peak it had about 1000 residents. About 20 odd building remain today. The most interesting were the old businesses - the saloon, general store and hotel - the hotel in particular had been really 'posh' - wallpaper and everything and it's still there, be it in strips hanging off the wall. 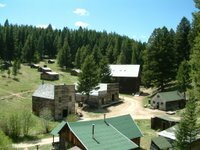 It was in a fabulous area too - we had to ride 12 miles into the forests along a gravel logging track to the middle of nowhere - all around were fresh smelling pines and clear air - the old town was at just over 6000 feet! Today we did another ride out. 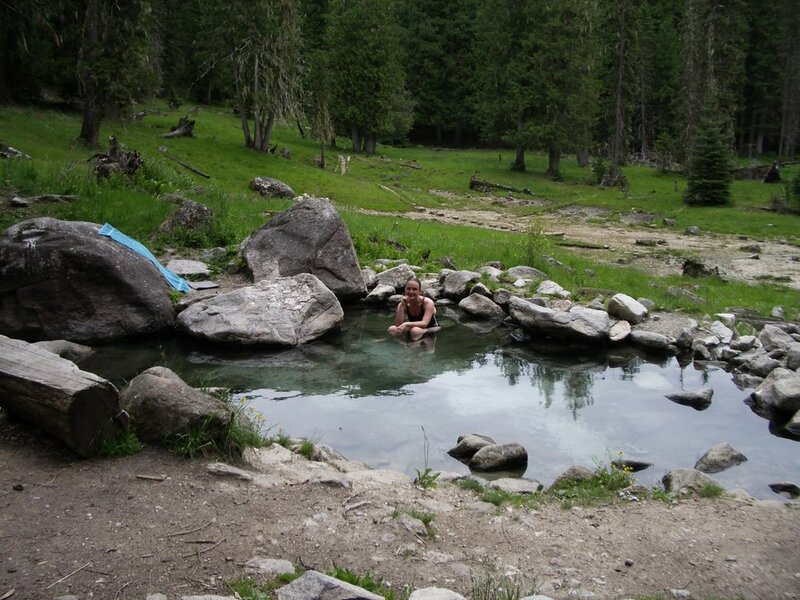 This time day tripping across the border to Idaho and to a great undeveloped hot spring called Jerry Johnson. By the side of a creek it was about a mile through the forest to get there and then it was just a big open clearing with a few stone lined pools dotted around. Temps were about 100-102 degrees so quite pleasant to soak in (apart from the seemingly obligatory fat naked man you tend to get in these places!) We also saw a moose calf wandering around about 50 yards away from us! Bonus was the road to the hot springs was along an awesome biking road so Chris was very happy. Have enjoyed the last few days - have spent some quality time just sitting out by the RV and sunbathing - something that we really don't tend to do - we're always on the go! Oh, yeah and we found the local brewery and it's tap room and free samples - Big Sky Brewing make Moose Drool Brown Ale, Scape Goat pale ale and Summer Honey brew amongst others - of course we had to sample all of them and Chris came home with a 'growler' - a 64 oz bottle filled with the pale ale to go with the BBS that evening!